Buy Yildiz Shotguns on guntrader From Our Huge Range. Yildiz was established in Turkey almost 40 years ago now and has been producing hunting and sports guns ever since. Geared towards the younger audience, a Yildiz shotgun is easy to use, lightweight and adjustable. Although small in size, this compact shotgun can still deliver the goods. Yildiz guns are known for precision, attention to detail and high quality. 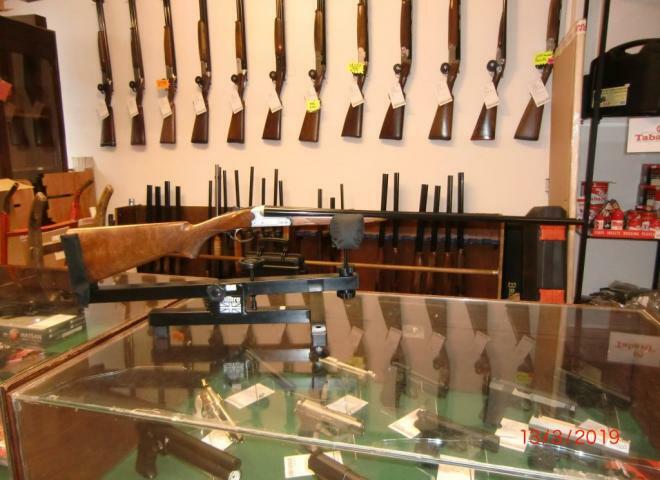 Guntrader has a wide variety of Yildiz shotguns for sale, both new and second hand. The most popular models in our collection include Yildiz TK 36, Yildiz SP2, Yildiz Elegant and Yildiz SPZME. Whether you are a learner looking for a starter shotgun, or are looking to sell one, Guntrader has a service to suit every need. PRICE INCLUDES EVERYTHING SEEN IN THE PHOTOS. Bought in 2014, brand new. Brilliant all round wildfowling/game/pigeon gun. Comes in makers plastic case with 7 chokes, 5 flush fit and 2 modified 1/2 extended chokes for large steel magnum shots. Short 13 1/4" stock ideal for ladies and junior shooters. A LOT OF SHOTGUN FOR THE MONEY!!! As good as new .410, the shotgun has been fired on two occasions, you would not be able to tell the difference from a new one. I can arrange RFD transfer to your local gunshop at your cost. Available on 72hour loan with correct certificate. A fantastic little gun that is in fantastic condition. This has been sitting in the previous owners gun cabinet and has just not been used a lot from new. New 12 gauge non ejector with 28"
Right handed palm swell. Gun comes with five chokes, choke key. Adjustable stock and is steel proof. Fantastic starter clay gun with stunning wood on stock and fore end. Moving clay motif on action, ventilated mid barrel, wide sporting rib with orange optic. Comes fully cased with full set of chokes. This is a perfect starter gun for a junior.